Rumors (Lenny), Ravenscroft (Ruffing), and the title character in Dracula. Enjoy the show! (Antipholus of Ephesus) Raised as an army brat, Todd has traveled all over the world. His first major role was in tenth grade when he did Shakespeare’s Romeo and Juliet while his family was stationed in Hamburg. He played Romeo. While in Perth the following year, he played Hamlet. It was a blast to play Iago his senior year in Nairobi. Three major Shakespeare parts on three different continents is nothing to sneeze at. He is overjoyed to make it a fourth with this part at Shakespeare on Clark. Todd has plans to play King Lear in Tokyo before he kicks the bucket. When not taking operatic vocal lessons, Todd enjoys horseback riding. By day, he designs miniature golf courses for Mini Tees-R-Us in Lombard. Todd wishes the cast many broken legs throughout the run. (Nell, Luce, Attendant to Solinus) is a theatre major at North Central College, where she recently work on production of "Sirens" and "The Taming of the Shrew." She is super excited for the opportunity to do more Shakepeare this summer! Whe she isn't rehearsing or performing, she can usually be found playing with her puppy or watching netflix. Bill Evensen (Officer, Executioner, Gaoler) returns for his second year at Shakespeare on Clark. He appeared in last year’s production of The Taming of the Shrew as Curtis. Bill is starting his second year at Northern Illinois University as a candidate for the Bachelor of Fine Arts in Acting. He was in NIU’s production of The Canterbury Tales as the Duke of Exeter. (Technical Crew Director) returns to Shakespeare on Clark after his experience with The Taming of the Shrew. 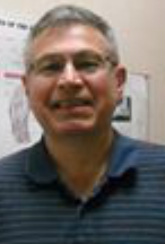 Chris is a podiatrist, owning the Batavia Foot Clinic. Chris volunteered last summer, not knowing what to expect, but enjoyed it enough to return to the technical staff. This is 6 year old Noelle NIeKamp's first venture on stage. She is an active, sports-loving, hip-hopping kind of kid who sings and learns all the songs her older sister sings at home. She performed her first audition this summer in June and though she is more shy than her actor mom, she is every bit as talented. (Adriana) had so much fun last year playing Kate in The Taming of the Shrew with S on C that she eagerly accepted the opportunity to work with this fun group of folks playing Adriana. A Batavia resident, wife, mother, voice teacher, choral director and singer/actor, she has performed all over the Chicagoland area. You may have seen her at Steel Beam Theatre, Pheasant Run with Fox Valley Rep, Evergreen Theatre, Brightside Theatre, Raue CPA with William Street Rep, Woodstock Opera House, Metropolis PAC, Theatre-Hikes, Jedlicka PAC, Porchlight Theatre, ITC and other theaters in Chicago. Look for her children, Faith and Noelle, and her husband as other members of the Comedy of Errors circus world. (Courtezan) is excited to return for another season with Shakespeare on Clark. She has performed as Titania in A Midsummer Night’s Dream, Maria in Twelfth Night, and Mistress Ford in Merry Wives of Windsor. Since returning to the Chicago area, she played Fioria in Time of the Cuckoo, Catharine in Suddenly Last Summer, and Lady Riverdale in Death By Chocolate with the OswegoPlayhouse, and Penny in You Can’t Take It With You with Wheaton’s Bird and Baby Theatre. She is a yoga instructor and teaches writing at Waubonsee Community College. (Balthasar) is proud to return to Shakespeare on Clark for his fourth consecutive year. Locals and fans may remember him from last year's performance of The Taming of the Shrew (The Pedant), 2011's The Merry Wives of Windsor (Sir Hugh Evans), and 2010's Twelfth Night (Valentine). An aspiring English/Theater major, Matt's true talents are in writing, yet he has been involved in Theater for over six years and has performed or worked at a variety of Chicagoland venues. He is also a strong supporter of the bard, and has worked with several productions outside of Clark, including Romeo and Juliet, A Midsummer Night's Dream, and Macbeth. Other notable roles include Azmur the Devil in Golem: The Monster of Prague, The Undertaker in Sagebrush: The Musical, and Long John Silver in Treasure Island. Matt would like to thank his family and friends for their support, as well as all the members of Shakespeare on Clark for another fantastic year. Bruce Worthel (Dr. Pinch) is excited to be returning to Shakespeare on Clark. Bruce recently played the Foreman in Twelve Angry Men (Actor Factor Theatre Company), Klinglehoff in The Underpants (Buffalo Theatre Ensemble), and Lenox in Macbeth (GreenMan Theatre). He choreographed the fights for Macbeth. Favorite roles include Marvin in Bleacher Bums and Jorgenson in Other People’s Money. Other Chicago-area credits include Merry Wives of Windsor (Shakespeare on Clark), Amadeus (Steel Beam), Much Ado Abut Nothing (Woodstock Opera House), Dr. Jekyll and Mr. Hyde (Vex Theatre), The Man Who Came to Dinner (Nebula Theatre), Cyrano de Bergerac (The Summer Place), and Black Comedy (Wheaton Drama). Bruce's play "Pictures of a Wasted Man" was produced as a staged reading as part of the Elgin Art Showcase "Page to Stage" series. Faith NieKamp, a 4th grader at Batavia's H. C. Storm, is joining the S on C crew for her 2nd year having been the widow's daughter in The Taming of the Shrew in 2012. She has performed as a street urchin in Scrooge the musical at Steel Beam Theatre and in A Christmas Carol at Metropolis PAC. She loves to dance and sing and has been performing in dance recitals, school concerts and church choir since she was 3 years old. David NieKamp is a clinical psychologist by day, jazz saxophone player and balloon artist by weekend. You may have heard him in the band at Christ Community Church or seen evidence of his balloon art at Steel Beam Theatre holiday shows or Batavia fireworks events. He is multi-talented and just wanted to be a part of the family fun this year at Clark Island. (Dromio of Ephesus) hails from Sterling Illinois, is excited to be involved with his first Shakespeare on Clark production of A Comedy of Errors as Dromio. 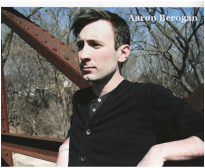 Aaron is currently attending Northern Illinois University working on his Bachelor of Fine Arts with an acting emphasis. He has performed in other Shakespeare plays such as Henry VIII (Lord Buckingham, Cromwell, and Porters Man), The Tempest (Boat Master, and Adrian), and Midsummer Night’s Dream (Peter Quince). Aaron has also performed in a reduced version of Shakespeare’s entire cannon called The Complete Works of William Shakespeare (Abridged) [Revised].A few of his other roles include: And Then There Were None (Dr. Armstrong), Les Misérables (Jean Prouvaire, Pimp, Ensemble), Go Back for Murder (Jeff Rogers), Almost, Maine (Phil, East), Luv (Harry Berlin), and A Gentleman and a Scoundrel (Fred Dickson/Rick Laredo). He would like to thank his friends, family, and wonderful girlfriend Rachel for their continued support, God for the gifts and skills he has been given, and finally Julane Sullivan for this wonderful opportunity. (Dromio of Syracuse) is excited to have an opportunity to try his hand at acting. Larry graduated with a Masters of Biological Anthropology in 1994, went off to follow up on some research for one of his Professors in the plains of Camdeboo in South Africa. Returning home three years later with little to show, Larry realized he didn’t want to research as much as teach. He took on a job as an Anthropology Professor, where the Anthropology department was right next to the theatre department. Larry has spent the last fifteen years listening to the acting students scream, and play, and run, and has finally decided he could do that. Larry has decided that this will also be a great opportunity to get over his nervousness in front of others and make him a much stronger instructor. Larry would like to thank Ms. Sullivan for his first opportunity to perform and for her transcendent direction. (Aegeon) is looking forward to his participation with Shakespeare on Clark as his Summer project. Since retiring from local government, he has worked with several theatre groups in various capacities. Although acting was his intro to theatre, his interests have turned to writing and directing. He has written several interactive mysteries, Christmas shows, a musical version of Sleeping Beauty, liturgical dramas, a full-length comedy and a full-length drama. One of his favorite writing endeavors is a prologue to THE MERCHANT OF VENICE, written in Shakespearean style. Tom directed JOSEPH last summer and has recently appeared with the Oswego Playhouse in DEATH BY CHOCOLATE. Tom is excited about bringing the role of the aging, distraught Aegeon to life with Shakespeare on Clark. Jerome Urbick (Solinus) returns to Shakespeare on Clark after his previous two summers as Falstaff in The Merry Wives of Windsor, and Grumio in last summer's The Taming of the Shrew. An accomplished opera singer, Jerry is also a law student, currently interning for a Federal Judge. Alexander Seymour (Angelo) is excited to be working with Shakespeare on Clark for the first time!! He is currently a doctoral candidate in accelerator physics and works out of Fermilab. 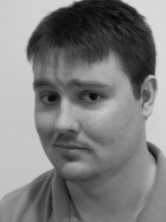 He has previously been onstage with the Albright Theatre as Millet in "Fuddy Meers," Gary in "I Hate Hamlet, Sgt. Burchitt in "An Act of the Imagination," Mr. Dussel in "The Diary of Anne Frank," and Prince John in "The Lion in Winter." Chris Majka (Original Score, Sound Design) has been creating music all of his life, and is now running his own production house MajikHaus Creative Solutions, where he has written jingles and theme music since 2007. He is a graduate of the Ilinois Center for Boardcasting, and aspires to compose for film and television. (Luciana) will be a senior at Jones College Prep High School in Chicago. She was recently in a production of Sweeney Todd at Infinity Arts Academy. Previous credits include Touchstone/Duke Senior (As You Like It), Javert (Les Miserables), and Simeon (Joseph and the Amazing Technicolor Dreamcoat). She was also recently in a film production with Infinity Arts Academy, where she played the role of "Lily", in an original horror feature production. She is so thrilled to have been given this opportunity to be a part of Shakespeare on Clark, and can't wait to finally play a female!! Much love to mom, dad, Pheobe and Auggie. (2nd Merchant) is going into his junior year at the Chicato Academy for the arts. He was a part of Shakespeare on Clark last season in the role of Lucentio in Taming of the Shrew. He was exctied then, and he is excited now to take on this new role. August has performed in shows recently at his school, such as "Our Town," as Constable Warren, "The Birds" as Hoopoe , "The Tempest" as Caliban, "Thurber's Carnival" as Darrel Darkke and Ensamble. He has worked with Steel Beam Theatre on the children's stage as Willie Wonka and The Mad Hatter. He gives his regards to his supporters and his love to Sarah. Kathy Bright joins the cast as the Abbess. Kathy came to us last minute to replace our original cast member who went into the hospital with respiratory concerns. Kathy has a vast resume including Shakespeare in the Park in Warrenville the past several summers. 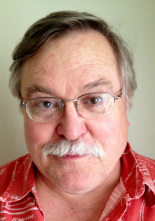 Charles C. Palia Jr. (Scenic Designer & Technical Director) Charles is a retired teacher of theatre, speech and English. Currently, he is on the Polarity Ensemble Theatre’s Board of Directors and is the Resident Technical Director. Charles has a B.S. degree from I.S.U. in Communications, an M.A. in Theatre Arts and an M.A. in Educational Administration from N.I.U. He is a free-lance designer and a former member of United Scenic Artists. For Polarity he has designed the world premiers of Ghost Watch,Kabulitis, and the Jeff Award Winning Never The Bridesmaid. For Josephinum Academy he has designed The Society of Adventurous Women (Which he also wrote. ), Just Desserts, Henry V, Wind In The Willows, and The Importance of Being Ernest.Locally, for First Street Playhouse he designed Forever Plaid, Return To The Forbidden Planet, Crimes of The Heart, and Lost In Yonkers. For fun Charles plays lead guitar in the classic rock group “Union Jack” and plays bugle in the Chicago Royal Airs Drum and Bugle Corps.